Liberty is the transformation of the historic Lorton Reformatory into a vibrant urban village. The unique community incorporates the historic campus into a modern development that includes loft-style apartments, distinguished single-family and townhomes, well-curated retail and restaurants, and collaborative office spaces. Deeply rooted in history but looking toward the future, this creative community hub will inspire residents and visitors to gather together to live, work and play. The Lorton Reformatory is on the National Register of Historic Places, making this an exciting adaptive reuse of a historic property. The community will include 157 urban townhomes built in a contemporary style with rooftop decks, and 24 single-family detached homes, all built by Van Metre Homes. The apartment homes at Liberty feature a unique floorplan, rich with restored historical elements and luxurious, condo-grade finishes. 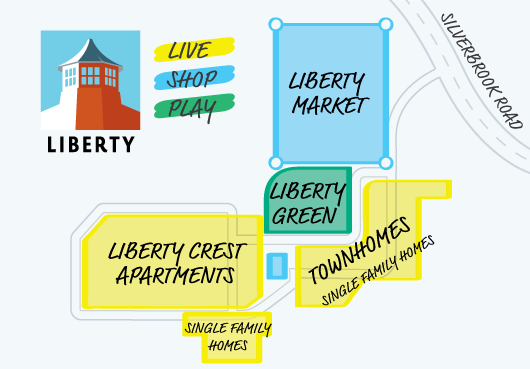 Liberty Market, the community’s retail hub, will combine the best new construction with creative reuse of existing buildings to feature a unique collage of small shops in a pedestrian-friendly atmosphere with sophisticated dining options. 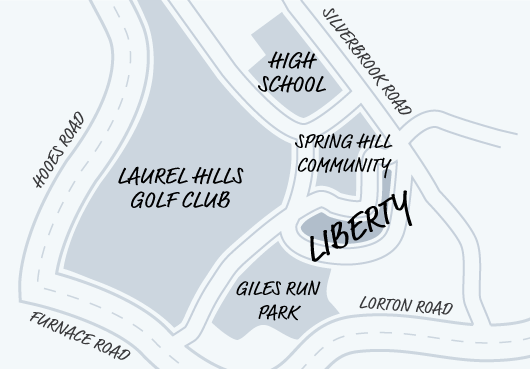 An expansive green space called Liberty Greens will offer over three acres to play, exercise, and gather for unique events like live music and outdoor movies.